Has Your Astrological Sign Changed? Reports have been circulating in the media that scientists discovered that everyone’s zodiac sign has changed, due to a permanent shift in the constellations. The truth is this theory has actually been around since the mid-90’s, and has been causing quite a stir in metaphysical circles ever since. A scientific study that measured the shift in the Earth’s axis (called the wobble) cites that the constellations are no longer moving in sync with the ancient dates and astrological positions originally assigned to signs of the zodiac in early times. This cast a lot of doubt and has been confusing people as to just what their actual sign might be. Of course, it also gave eager skeptics one more reason to point out why astrological practices aren’t valid. Unfortunately, the scientists and skeptics who promote these claims base their entire theory on a misconception about how the signs of the zodiac came into being, and what they are really based on. In truth, the signs, degrees and divisions of the zodiac have no connection to the heavenly constellations that bear their same names. The zodiac signs were originally assigned to an ‘elliptical belt’ that surrounds the earth based on the seasons of the year, rather than the stars above. An easier way to understand this is to remember that our seasons start on the first day the Sun enters a particular sign. The first day of Spring (in the Northern Hemisphere) corresponds to the onset of Aries; Summer to the first day of Cancer; Autumn to the first day of Libra; and Winter to the first day of Capricorn. Because the constellations are fixed stars in the sky, these hold little place in reading an astrological chart, as they don’t create transits or vary from client to client. Created over 3,000 years ago, as first recorded in Greek history, the signs of the zodiac were named long before most corresponding constellations were discovered. In fact, the constellations used in astronomy today were given names based on the astrological zodiac, not the other way around. So, rest assured that your zodiac sign has not changed, nor is there a so-called 13th sign that throws the other signs off. Just for reference however, there are some instances where you may actually experience a change in your Sun sign. For example, if you were born on a cusp day (the day of the month when the Sun moves from one sign to another) you could experience a change based on the time of day you were born. To be sure you’ve got the correct information on your sign if you were born on the cusp day, you’ll need to run your chart for the date, place and time you were born. 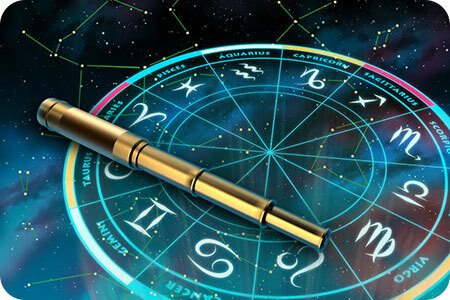 There are many sites on line that will create your natal chart for free, or you may want to schedule an appointment with a professional astrologer to learn more. Also, if you decide to explore Vedic Astrology, (practiced predominately in the Eastern Hemisphere), your Sun would move 23 degrees backwards, which could easily identify you as a Taurus instead of a Gemini, for example (if you are born within the first 23 degrees of your sign). You’ll want to keep in mind that Eastern (Vedic) and Western Astrology are two very different practices. One leans more toward predictive readings, while the other finds its center in one’s developmental and spiritual growth processes. Both work well for the purposes in which they were designed. It’s just important that you understand the difference, so you can get the information you’re seeking.